Kezia was born in Aberdeen, and was first elected as a Member of the Scottish Parliament for the Lothian Region in 2011, and then re-elected in 2016. She studied law at the University of Aberdeen before completing a masters degree in Public Policy at the University of Edinburgh. 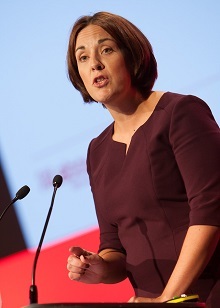 She previously served as Scottish Labour’s Deputy Leader, Shadow Minister for Youth Employment and as Shadow Cabinet Secretary for Education and Lifelong Learning. She set up and led the Debtbusters campaign across Scotland aimed at cracking down on and tackling payday loan companies street by street, and led the Scottish Labour campaign Every Step, the campaign for affordable and flexible childcare. Kezia is a Scottish Labour Co-operative MSP in the Scottish Parliament and co-chairs the group on Children and Young People. She lives in the Lochend area of Edinburgh, and has a weekly column in the Edinburgh Evening News every Tuesday. Dame Cilla chairs the Women’s Business Council and the GREAT Private Sector Council. 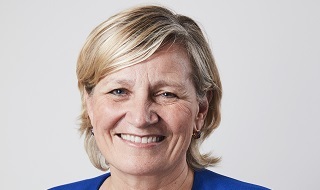 She is a non-executive director of Derwent London and is the former group CEO of AMV BBDO, the UK’s largest advertising agency, where she worked for 26 years before embarking on a portfolio career in January this year. She was made a Dame in the Queen’s Birthday Honours in June 2017 for services to advertising, diversity and equality. In the same year she was awarded an honorary doctorate by the University of Birmingham, where she had graduated several decades earlier with a degree in French. Most importantly she is Fred, Albert and Rosie’s mum. As an Olympic speaker, double Paralympic gold medallist Danielle Brown has been described as being able to leave her audiences “utterly inspired and enthused”. Ranked World No.1 for her entire career, Danielle also won gold at the Delhi Commonwealth Games of 2010 in an able bodied discipline, showing her skill and focus is enough to beat even the best able-bodied athletes. Proving her credentials away from competition, Danielle attained a first class law degree whilst competing at a world-class level. The holder of all 12 Paralympic World Records, Danielle teaches audience members how to have a winning mentality normally associated with elite sport, and how to apply this to their everyday lives. A qualified systems engineer, Jeanette started PCL Group in March 2000 after she was made redundant during a downturn in the oil and gas industry. Providing total technology provision and support including cabling services to five main industry sectors – offshore, marine, commercial, industrial and renewables – the company has grown year on year. 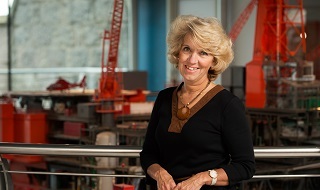 Jeanette has won a number of national awards and industry accolades, particularly for her role in promoting career opportunities for women in the energy sector; she was named Business Women Scotland’s Inspirational Woman of the Year in 2015. Born in Yorkshire, Jeanette is committed to promoting the opportunities and benefits which her adopted city of Aberdeen can offer visitors, residents and businesses. She is an ambassador for Investment in the city’s "Invest, Live, Visit" programme and she is also involved in several other projects which focus on civic pride and economic development. Christine is contributing editor of Management Today and co-founder of communication and change consultancy Jericho Chambers. Prior to Jericho, Christine spent 20 years in advertising, PR & research agencies, based in London, Toronto and Washington DC. Christine is currently working with the CIPD on the Future of Work is Human campaign and researching the circular economy. She recently introduced plastic fishing to London’s docks and launched a boat made out of 99% recycled plastic. She is also on the PTA, in spite of her own advice on the subject. Her new book, The Mother of All Jobs: How to have children and a career and stay sane(ish), was published in September. Round-the-world yachtsman Julie is founder and CEO at BroadReach, an international leadership development company based in Edinburgh. Julie’s own corporate background began as a stores executive at Tesco followed by a number of retail directorships ranging from Liberty of London to Punch Taverns. Internationally she was executive retail partner for IBM covering EMEA and East Coast USA. She is non-executive chair at the Institute of Directors Edinburgh and a member of the IOD Scotland committee. She is also a member of the Court of the Royal Merchant Company of Edinburgh, governor at George Watson’s College and chair of the Merchant Company Charities Committee. 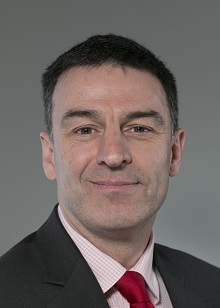 As director of corporate affairs and marketing at Scottish Enterprise, Scotland’s national economic development agency, John is responsible for the organisation’s brand and reputation. 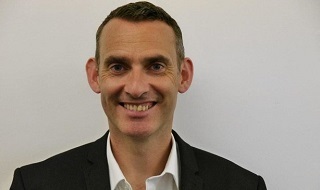 He previously spent many years at the Scottish Government, most recently as head of communications, and was previously a journalist on local and regional newspapers. As chief people officer at Skyscanner, Ruth's role spans across 11 offices and over 1200 members of staff worldwide. 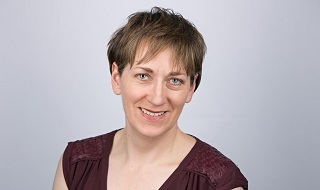 Ruth has over 20 years’ experience in a range of specialist HR and people leadership roles in high-profile organisations including the University of Edinburgh and Standard Life. Her belief at work is that "great people make great product". A mum to three teenage boys, she enjoys running, sea swimming and paddleboarding with her husband. Julie Grieve is the founder and CEO of Criton, software that allows hotels to digitise their guest information and wrap all of their guest facing technology into a guest portal driving guest engagement and increasing revenue. Julie set up and was CEO of Lateral City, a luxury serviced apartment operator in Scotland when she had the idea for Criton, having been frustrated at how static her guest information had become. Julie’s vision for Criton is to give operators access to technology which will allow them to challenge the chains whilst offering a one stop portal for guests to interact with all the technology offered by their accommodation. 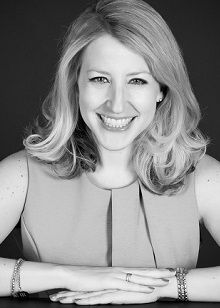 Tania is director of marketing and business development for top ten Scottish law firm Morton Fraser. Seen as a change agent, she has been developing business and brand strategies for more than 25 years - leading teams in-house and agency side. Tania is passionate about creating a good balance between work and family life and for the past two years has been a champion for Family Friendly Working Scotland. 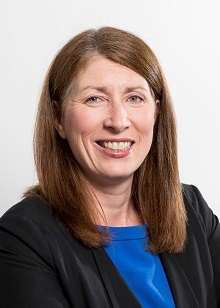 She is also a non-executive director of Age Scotland Enterprises, an executive business coach and a mentor for both the Scottish Chamber of Commerce Women’s Mentoring Programme and The Marketing Society. 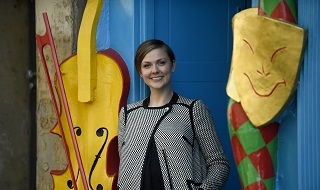 Lyndsey is a senior arts administrator and live event producer, and currently the deputy chief executive of the Edinburgh Festival Fringe Society. The Edinburgh Festival Fringe is the largest arts festival in the world, and the greatest platform for artists and creatives to develop and showcase their talents on an international stage. Lyndsey supports the chief executive, the board of trustees, the senior leadership team and Fringe Society staff to deliver the Society’s vision, aims and objectives through motivational leadership and clear strategic direction, leading on business continuity, governance and strategic planning, digital innovation and commercialisation, and the development of education outreach programmes that support the place of the festival in its host city. Anne is an experienced international executive. With an MBA from Strathclyde Business School, she has held a variety of diverse senior positions in national and international commercial, public and academic organisations. As the former CEO of Scottish Development International (SDI), she led and managed a global network of 250+ staff across 29 overseas locations with a budget of £35m. 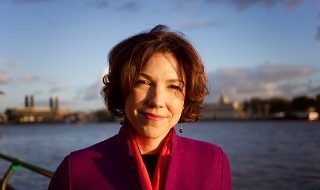 She currently holds non-executive positions with organisations including James Hutton and CEFAS (Centre for Environment, Fisheries and Aquaculture Science). She has her own consultancy business with a focus on leadership, international business development, mentoring and coaching. 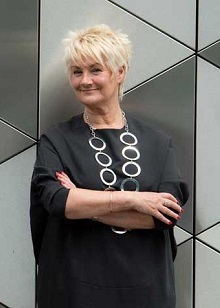 Jo is the former MD of world-leading haggis brand, Macsween. A pioneer, never a follower, she was the driving force behind its evolution from retail butchers’ shop to award-winning international food brand, synonymous with creative product innovations. 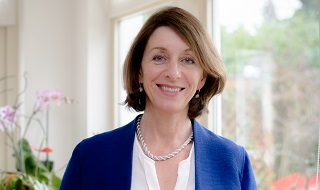 Her leadership at Macsween was twice recognised in 2015, when she was awarded "Female Director of the Year" by IoD Scotland and "Outstanding Contribution to the Food Industry" by Scotland Food and Drink. In early 2017, she left Macsween to become group chair at Vistage, having found six years of peer to peer group learning so fundamentally business-and life-changing. 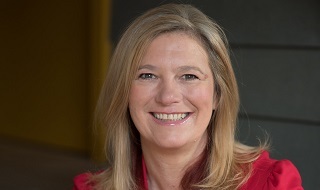 Jo is a Women’s Entrepreneurial Scotland ambassador and is a member of the Scottish Business Task Force, Scotland Office. Claire is a born entrepreneur and innovator. She worked on her first business at 14, published a book at 25 and aged 30 founded Man Bites Dog – a multi award-winning thought leadership consultancy with global reach. Man Bites Dog specialises in working with intelligent organisations from professional and financial services, technology and trade sectors to deliver global marketing programmes to build reputation, deepen relationships and generate revenue. 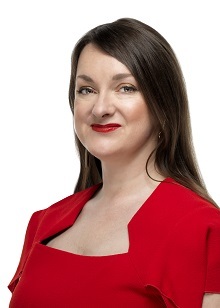 An established business speaker and commentator, Claire is campaigning to close the Gender Say Gap® – the underrepresentation of women in business and in public life – by increasing the visibility of female experts as thought leaders. 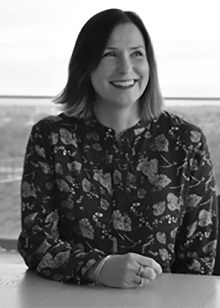 Claire was named Female Marketing Leader of the Year by the Chartered Institute of Marketing and Man Bites Dog was awarded World’s Best Campaign (B2B) in the ICCO Global Awards 2018. Miller is managing director of CBRE’s Scotland and Northern Ireland business. CBRE is the world’s largest commercial real estate services and investment firm with over 75,000 employees and has been listed in the Fortune 500 since 2008. He is a chartered surveyor with over 33 years' experience in the property industry and sits on CBRE’s National Team Board covering all UK offices outside of London. Miller is also chairman of the Scottish Property Federation, a trade organisation for the Scottish real estate industry. 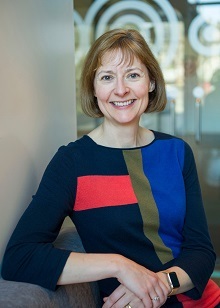 Liz was appointed CEO of Edinburgh Chamber of Commerce in 2016 following six years in various roles at the Chamber. She sits on the Edinburgh City Vision Steering Group, the Edinburgh Business Forum, The Festivals Forum and many other civic groups in the city. She is also a member of the Business Creation and Growth Mission of the Enterprise and Skills Strategy Board and a member of the Land Use Taskforce. Prior to joining the Chamber Liz enjoyed an entrepreneurial career spanning 16 years, founding Le Bistro Hospitality, Scotland’s largest independent hospitality company, which she led to a successful exit in 2001. Awarded an MBE in 2016 in the Queen’s New Year’s Honors List for her contribution to social equality. Chris heads up Equality & Diversity for VisitScotland, implementing a business focused diversity strategy enabling VS to fulfill its corporate business objective of enhancing the visitor experience. For the last 8 years Chris has managed VS’ Accessible & Inclusive Tourism Programme. Chris has worked in the UK Civil Service for 30 years, and also in the private sector. She leads a mediation team in Scotland, and is a trained workplace mediator. Bronagh has been a trustee with Smart Works Edinburgh for three years. 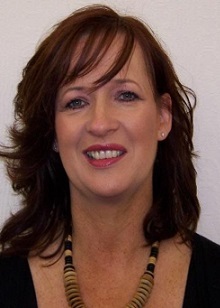 Bronagh is an education professional with over 30 years’ experience in higher education. 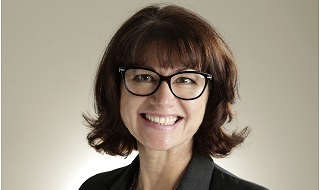 She was head of the business school for the Open University in Scotland and faculty lead for the postgraduate business and management programme for the Open University throughout the UK and Continental Europe. She is a passionate believer in the transformative power of education, an experienced facilitator within leadership development contexts but most of all, an advocate of empowering women to realise their dreams and potential. As the director of business operations for Accenture Strategy Europe, Alexis drives Accenture’s growing practice at the intersection of business, technology, execution and data/analytics. She is also the lead for the organisation’s UK "Accent on Gender Network", and is passionate about both gender parity and balancing a fulfilling career with achieving personal goals. In 2012 she was recognised as one of Management Today's "35 Women Under 35". Outside of work, she is the chair of the board of trustees for a theatre charity, a keen amateur theatre performer, and an aspiring photographer. 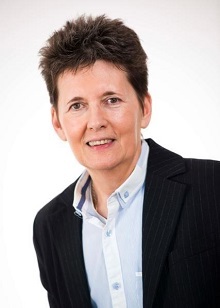 A creative academic, Ros is a chartered clinical psychologist, coach, trainer and regular speaker on the conference circuit. She has presented in the USA, Europe, and China and completed a lecture tour in Japan. Newspapers have described her variously as ‘the guru of personal development’ and ‘the best motivational speaker heard this year’. Ros has developed a unique style of coaching which achieves major insights and shifts in thinking as well as creating a vision for personal and business success. Ros draws on her background as a psychologist to facilitate creative strategies and move people on to become more than they would ever have believed possible. Ros was named by The Independent on Sunday as one of the top 10 coaches in Britain. She is visiting professor at Strathclyde University and a non-executive director for The National Theatre of Scotland. After being diagnosed at 10 years old with High Functioning Autism and struggling with speech impairment and anxiety, Rachel used her adversities to spread awareness and inspire others. 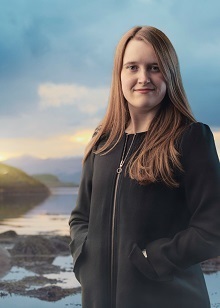 Since being employed by VisitScotland, she has assisted with various creative projects across the organisation, attending a luncheon in London at St James’s Palace with HRH Prince Andrew, being a finalist for the Apprenticeship Ambassador Award at the Scottish Apprenticeship Awards 2017 and representing Scotland’s youth as a Year of Young People Ambassador. Rachel also shared her experiences with autism on the TEDxGlasgow event. In 2015, Rachel started work with the council organisation, East Lothian Works, in Haddington, which helps people with disabilities find and secure work. Through this she began the Modern Apprenticeship Scheme, and has also volunteered for charities such as Oxfam, and MS charity, Leuchie. Rachel grew up in Yorkshire and New Zealand, and attended all girls private school Queen Margaret College, and qualified in business administration training at WelTec College. Image by @Skills Development Scotland. Kate has been a business journalist for the past 17 years, editing Real Business magazine and writing for The Times, The Guardian and The Financial Times. 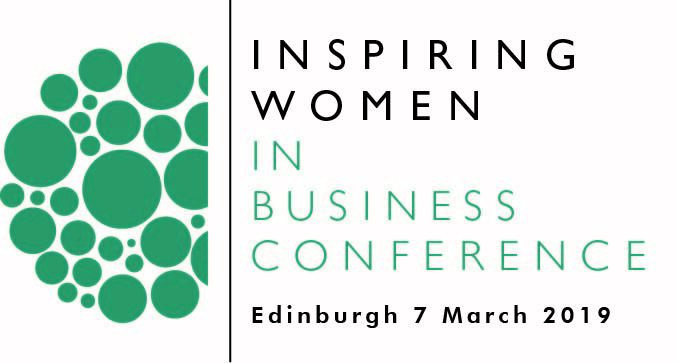 At Management Today, you'll find her interviewing business big shots and entrepreneurs, commissioning columnists and chairing the Inspiring Women conference in London and Edinburgh. 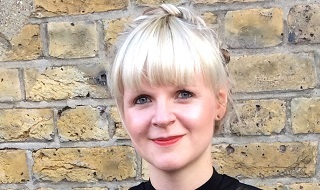 Vicky has 15 years media experience in recruitment advertising across multiple markets. She has particular expertise in promoting the value of employer branding to organisations of all types and sizes, from startups to large blue chip companies, across all levels of seniority from junior professionals to c-suite executives.